The Ferrari 488 is a mid-engined, 2-seater sports car that replaced the 458 in 2016. Constructed from an aluminium monocoque shell, the 488 design sees a number of refinements and improvements to the exterior and the performance over its predecessor. 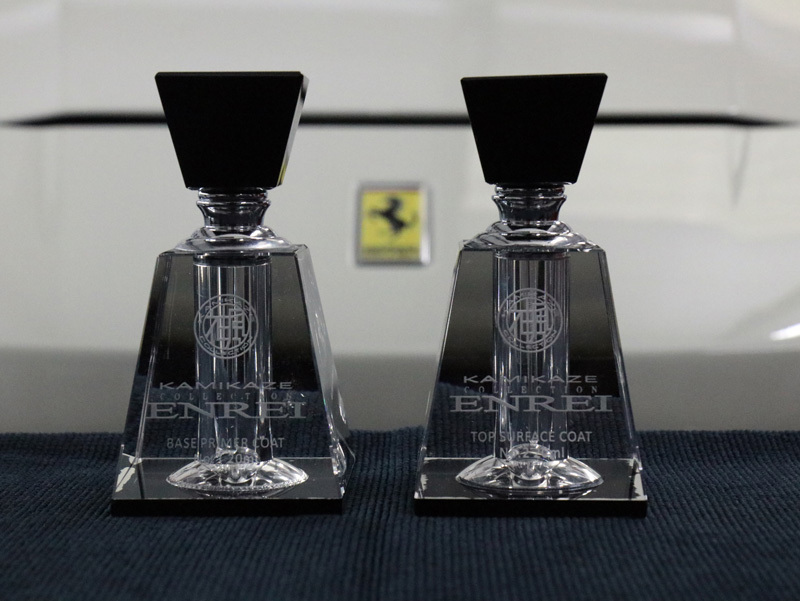 Featuring an all-aluminium dry sump, the gearbox is based on the 458’s and controlled through an automated manual dual-clutch 7-speed F1 gearbox manufactured for Ferrari by Getrag. 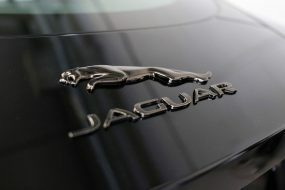 The 3.9 litre V8 features twin-scroll turbochargers with compressor wheels forged from titanium/aluminium alloy commonly used in jet engines for its ability to withstand high temperatures and to reduce inertia. The aerodynamics of the 488 have been improved too with a new front double splitter and blown rear spoiler which negates the requirement for a raised wing. 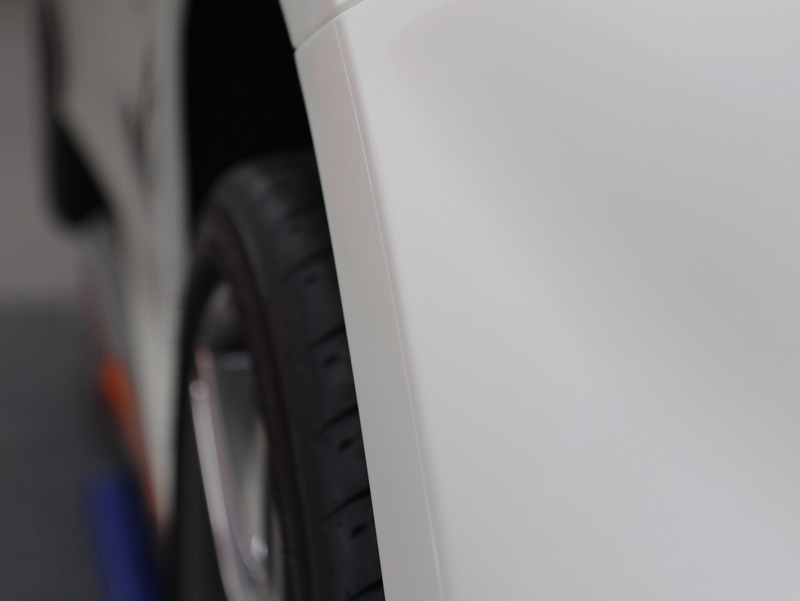 A central ‘Aero Pillar’ deflects wind under the body and a new enlarged active rear diffuser, together with purposefully placed vents and scoops reduce drag and increase aerodynamic performance. In fact, the new design increases downforce by a whopping 50% over the 458. 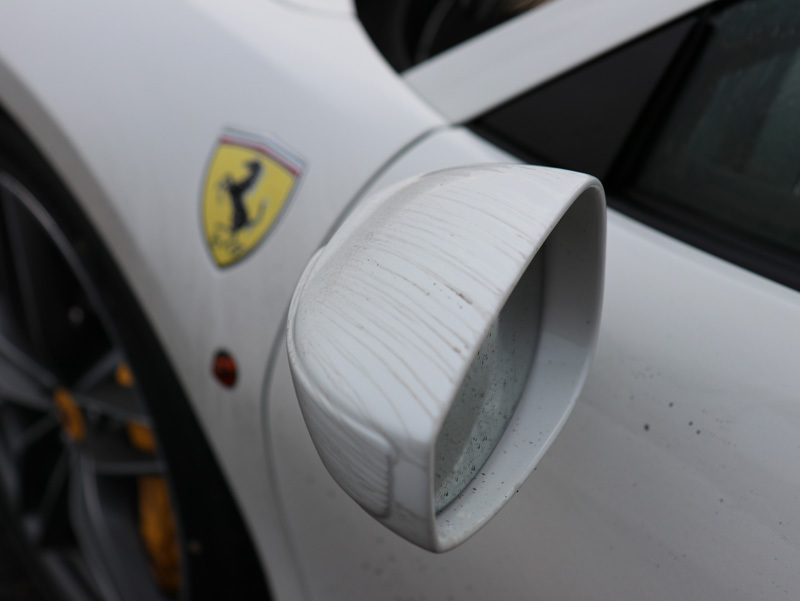 Even the ‘shark fin’ door handles have been engineered to deflect air into the large intakes over the wheels. 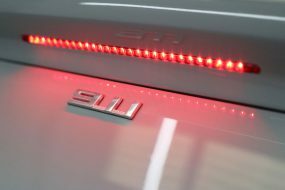 All this tinkering has delivered some Ferrari-record breaking results: a power output of 169.4 hp per litre and 144 ft-lb of torque per litre, a 0-62 mph time of 3.0 seconds and a top speed of 202 mph. All that speed and momentum required a little more stopping power than was available with the 458. Discs are now 398 mm at the front, and 360 mm on the rear which reduce stopping distances by 9% over the 458. 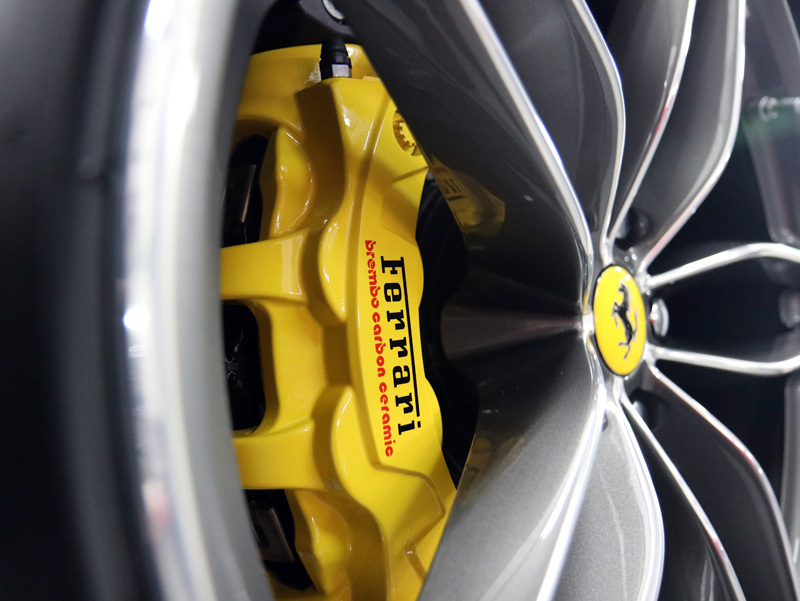 Additionally, the 488 has been fitted with improved carbon ceramic brakes using new technology harvested from ‘LaFerrari’ which reduces the time needed to reach optimum operating temperature. New Car Protection packages are an essential investment for those looking to preserve the aesthetics and the resale value of a vehicle. 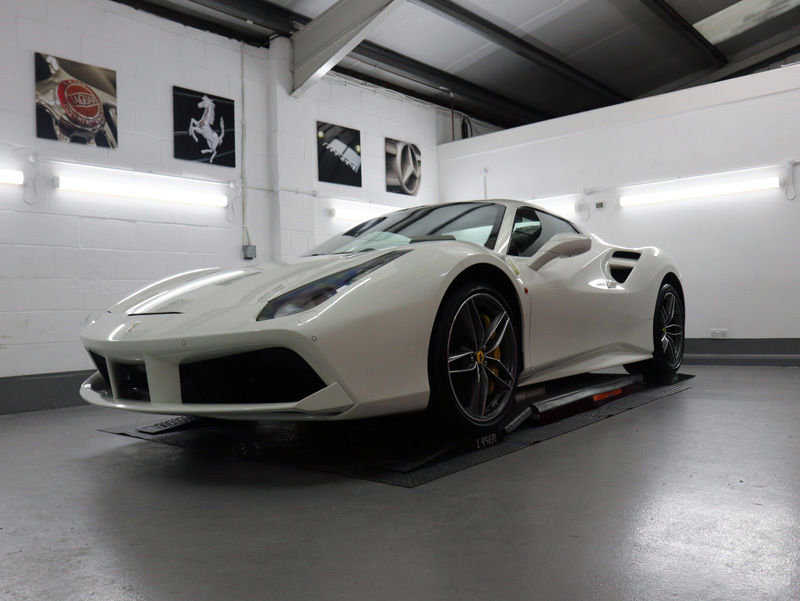 With this in mind, the owner of this brand new Ferrari 488 Spider booked it into UF’s Brands Hatch Detailing Studio for the ultimate New Car Protection package including Kamikaze Collection’s flagship ceramic coating, ENREI. Kamikaze Collection is a boutique Japanese designer and manufacturer of advanced and innovative car care products. 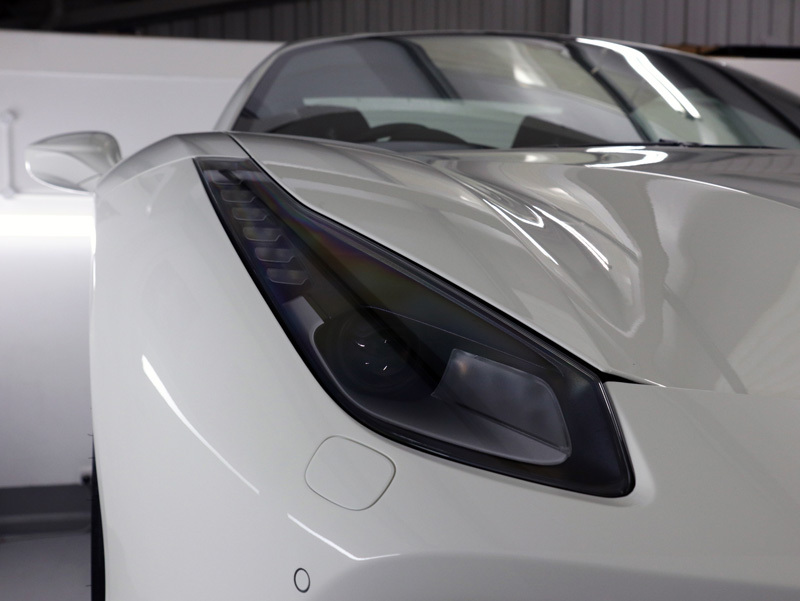 ENREI is an advanced, 2-stage coating system that offers durable high gloss, hydrophobic protection. Along with engineering the formula, Kamikaze Collection has spent much time researching and testing application methods to ensure the two layers are laid down for optimum performance. There is, therefore, a stipulated manner in which ENREI must be applied and strict environmental controls must be in place, with temperature and humidity within set parameters. In order to maintain the consistency of performance ENREI is only available as a service through Kamikaze Collection trained and certified detailers. 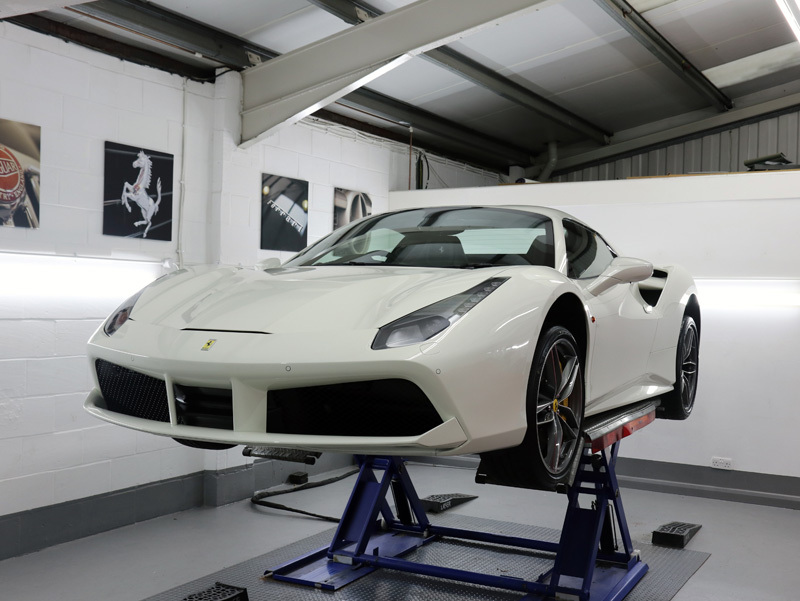 As well as opting for the highest level of sealant, the owner of the 488 Spider also elected to have paint protection film (PPF) applied to vulnerable areas to protect against stone chips. 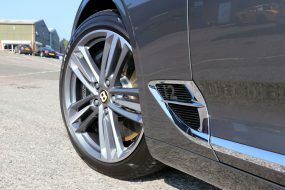 Additionally, he specified Alloy Wheel Protection for the 20-inch forged diamond rims (just one of many options the owner had opted for) and Glass ClearVision Treatment. 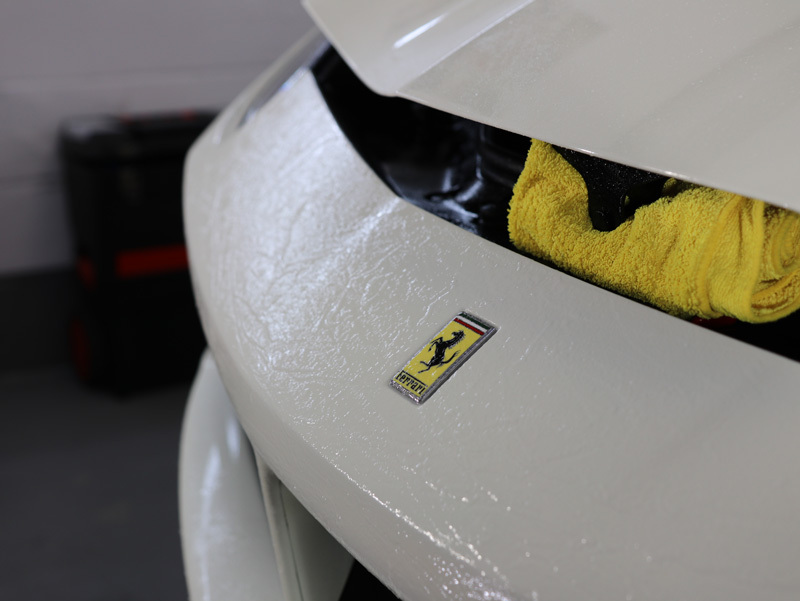 Before any protective elements could be applied, the 488 Spider first needed thorough decontamination and cleaning. Ultimate Snow Foam is a high-foaming solution applied through a foam lance attached to a pressure washer. The lather gets into all the areas on a vehicle likely to trap dirt, lifting it away from the surface of the car. 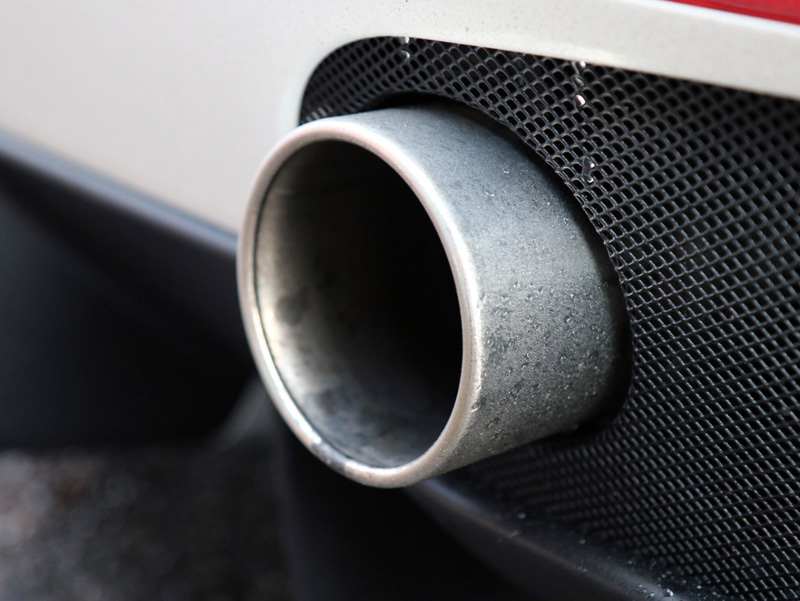 In this way, it effectively removes grime from hard-to-reach areas such tailpipes, air intakes, vents and grilles as well as tackling larger, flatter panels. After rinsing, the 488 was treated for iron contamination using Bilt-Hamber Korrosol followed by Surfex HD to eliminate greasy residues and diesel splatters. 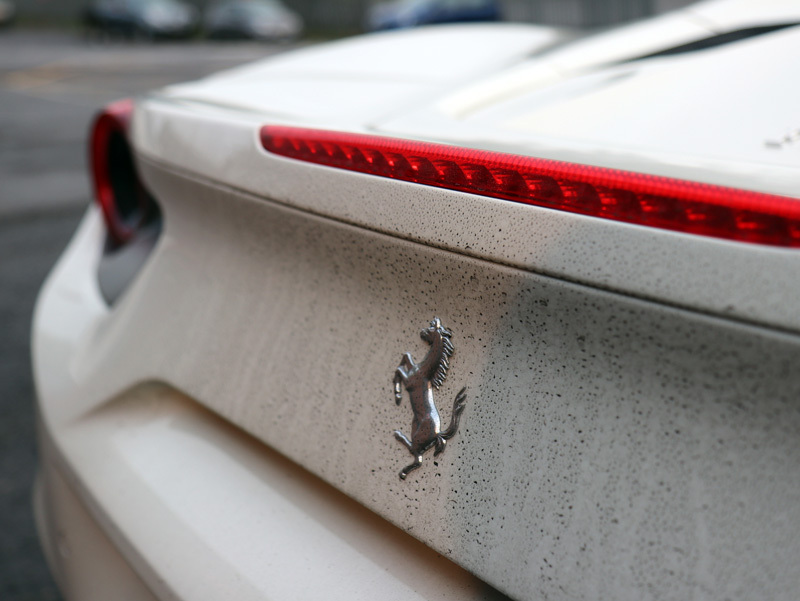 With decontamination complete, the 488 Spider was washed using the Two Bucket Method, keeping wash water and rinse water in separate buckets to prevent dirt removed from the panels inadvertently being transferred back onto the panels. After rinsing the suds away, an Aqua Gleam De-ionising Water Filter was attached in-line with a hose to deliver a final, pure water rinse. 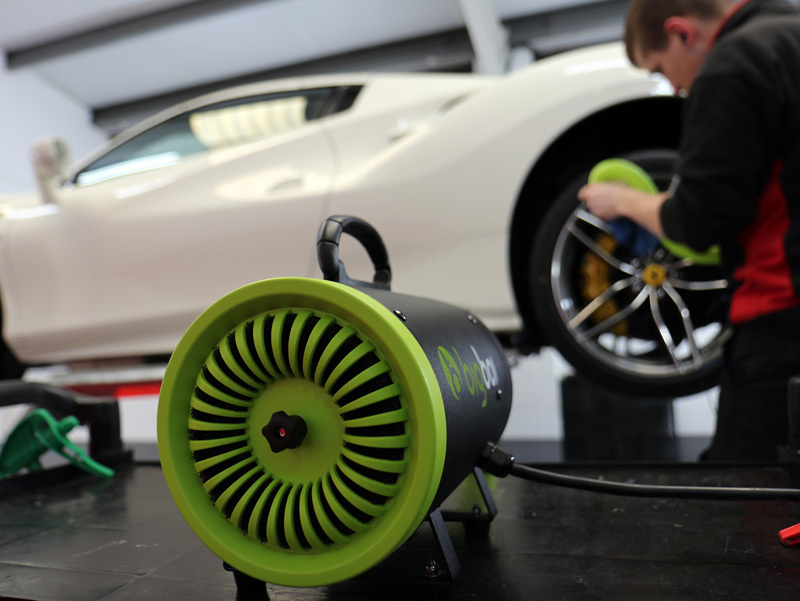 The 488 Spider was then brought into the detailing studio where it was dried using a BigBoi BlowR Mini car dryer. 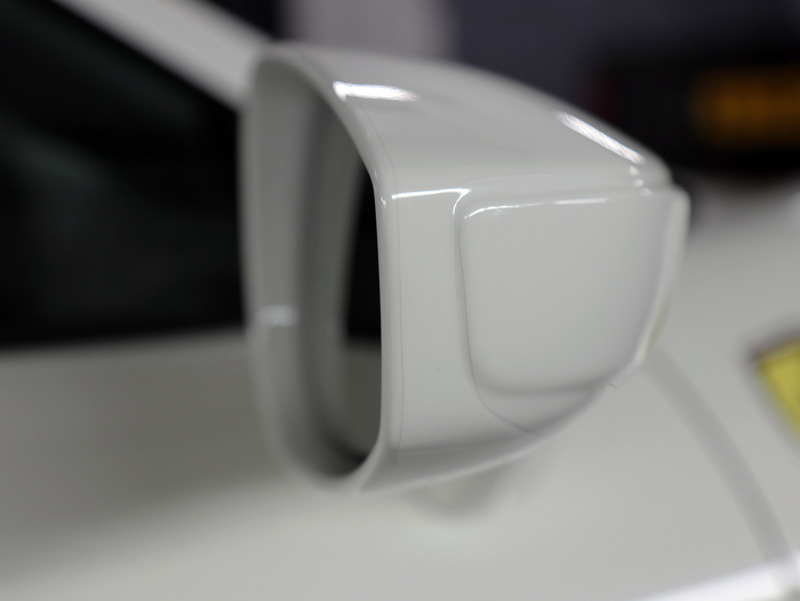 The warmed, filtered air forces water away from surfaces and out from behind natural trap areas such as grilles, vents and from behind wing mirrors. This ensures that drips are eliminated, an important step as moisture will interfere with the application process of ceramic coatings. 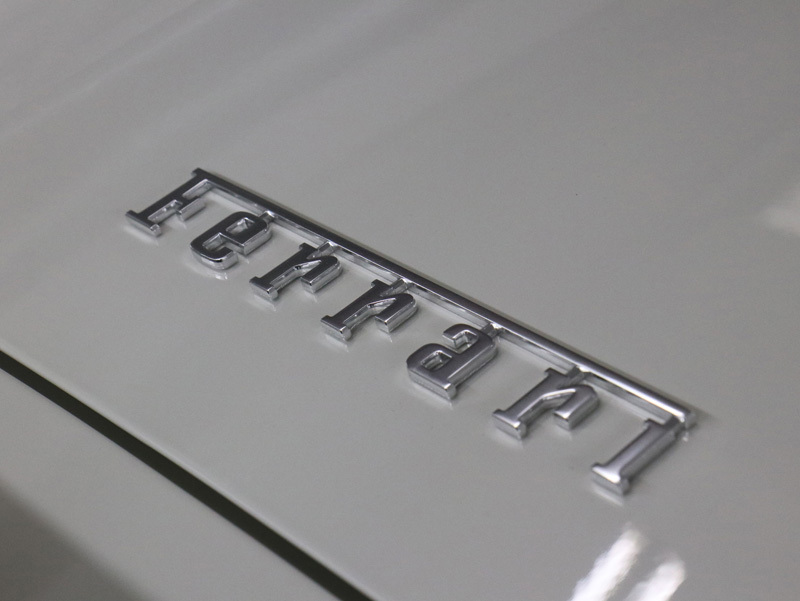 With the car now clean and dry, all the ‘Bianco Avus’ paintwork was hand polished using POLISH ANGEL Esclate Lotion to enhance the clarity. Following this, it was time to install the Paint Protection Film (PPF). 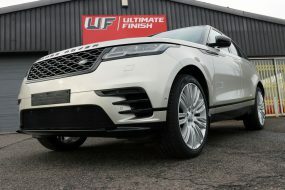 Whilst many protection films are available, XPEL Ultimate was selected as the most advanced PPF available. 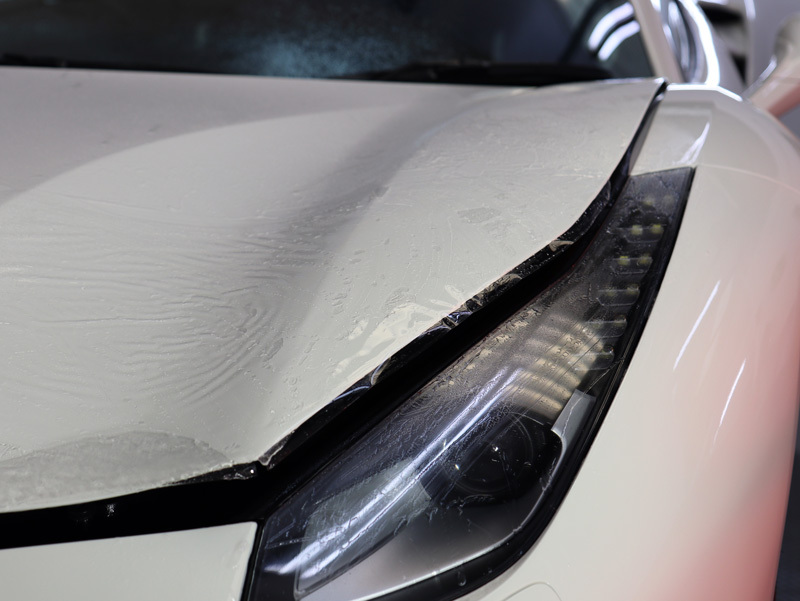 Using special elastomeric polymer technology, XPEL Ultimate is a true self-healing film that protects paintwork from gravel rash, rock pebbling, and the corrosive action of salt, bug remains and bird droppings. The film’s super slick surface inhibits contamination settling thus preventing it from becoming stained. XPEL Ultimate has been engineered to resist UV rays, so unlike many PPFs it does not become yellowed with exposure to the elements. Specialist software creates highly customised patterns for precise coverage with no obvious seams and XPEL Ultimate offers industry-leading durability and clarity. 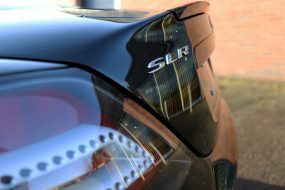 The polyurethane film can be stretched and compressed to follow the contours of the vehicle precisely, to ensure the finish is perfectly clear, free from wrinkles and ripples. XPEL Ultimate is capable of healing itself; to eliminate the appearance of fine swirls and scratches accumulated through the weekly wash and daily driving all that’s required is the application of heat, either from a warm sun, a hair dryer or hot air blower, or even simply by pouring a bucket of hot water over the film! XPEL Ultimate requires extensive training to fit and once installed carries a ten-year warranty. UF offer XPEL Ultimate in three kit options of varying levels of coverage: Basic, Standard and Full. The owner selected the Basic Kit, to protect the whole front bumper, leading edges of the bonnet and wings, headlights, rear wheel arches and the door mirrors. Before applying the PPF, an alcohol-based gel is spread over the area to be covered. The pre-cut PPF is carefully laid out and manoeuvred into position. 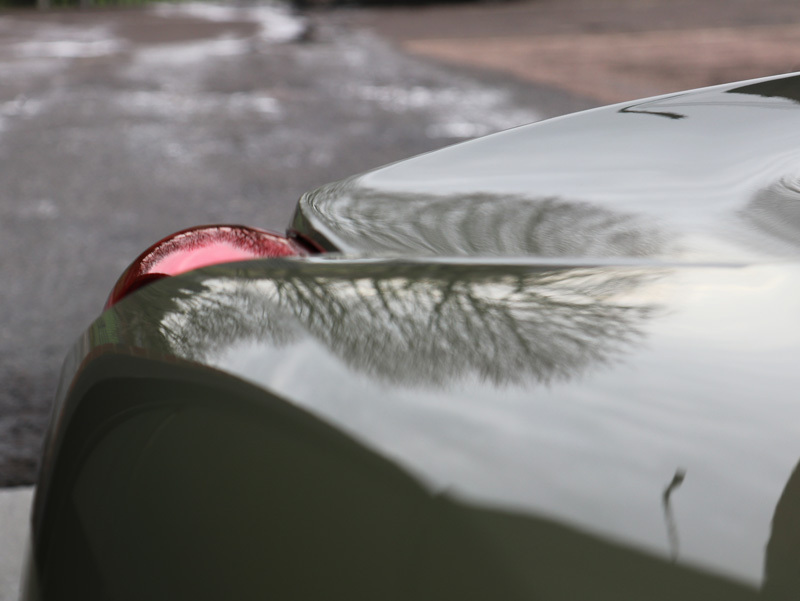 The gel is then sprayed over the top of the PPF to act as a lubricant for the soft, pliable levelling tool and the film is smoothed into place, stretching over convex contours and compressing into concave dips, reaching around the lip of the panel to provide comprehensive protection. The XPEL Ultimate is allowed to rest whilst the gel completely evaporates. During this time the film changes from slightly opaque to completely transparent, the process takes around two days to complete. Once installed, it’s virtually impossible to tell the protective film is in place. The complexity of the bespoke patterns mean intricate areas can be neatly protected, and by wrapping the edge of the film around the lip of the panel avoid unsightly ridges and seams. 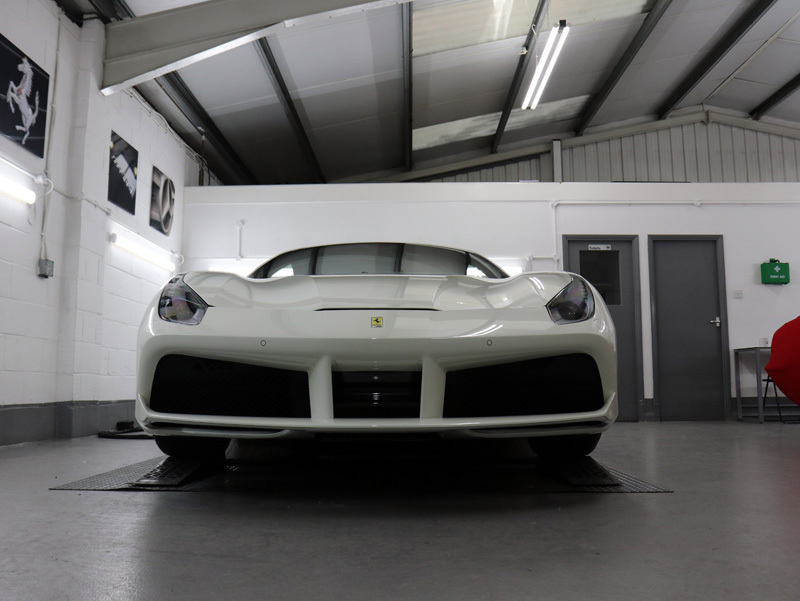 Whilst the PPF was settling, the wheels were removed from the vehicle and sprayed with Gtechniq Panel Wipe to ensure the surfaces were free from residues, leaving the surface ready for a nano-ceramic coating. To compliment ENREI, Kamikaze Collection Stance Rim Coat was applied to the wheels. This nanotechnology-based coating forms a strong chemical bond with the wheel lacquer to provide a durable barrier to waterborne contamination and oils. Resistant to extremes of pH and temperature, Stance will not wash away or burn off. The contamination-repelling nature of the coating means treated surfaces are easier to maintain and negate the requirement for harsh chemical wheel cleaners. 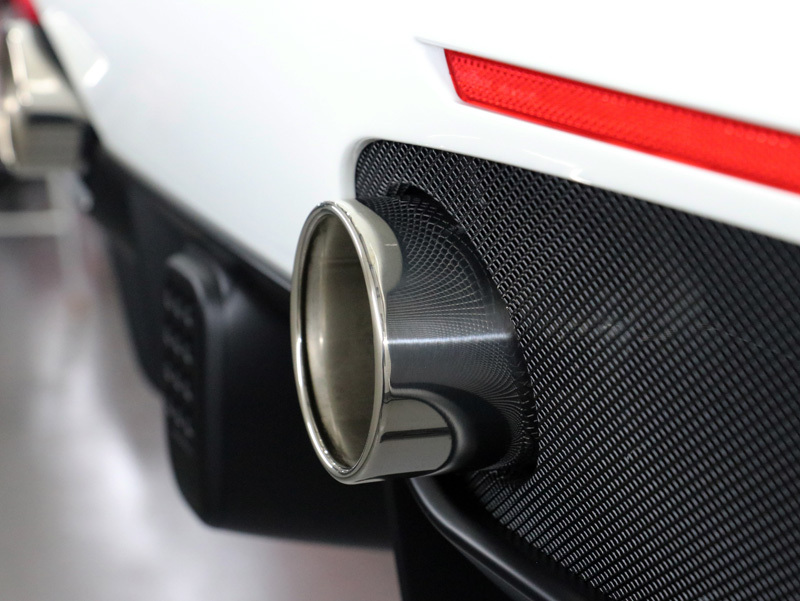 The exhaust tips were polished with Britemax Easy Cut Metal Polish to ensure they were sparkling and clean before being protected with Britemax Final Shine Metal Sealant. Kamikaze Collection Intenso Window Coat was applied to the windshield to provide a hydrophobic barrier to encourage rainwater to roll into beads and blow away, even whilst driving at relatively low speeds. Dirt and other waterborne contamination is carried away keeping the window cleaner for longer and the super slick formulation eliminates wiper judder, making driving conditions less tiring during inclement weather. Leather interiors are subject to wear and tear, particularly convertibles which are directly exposed to the sun when the roof is removed. UV rays cause the natural leather to dry out which can result in cracks. UV also bleaches pigment from dark leather and can cause lighter coloured leather to become yellowed. Protecting new leather with an abrasion resistant coating that contains UV inhibitors helps maintain the health and appearance of the material. 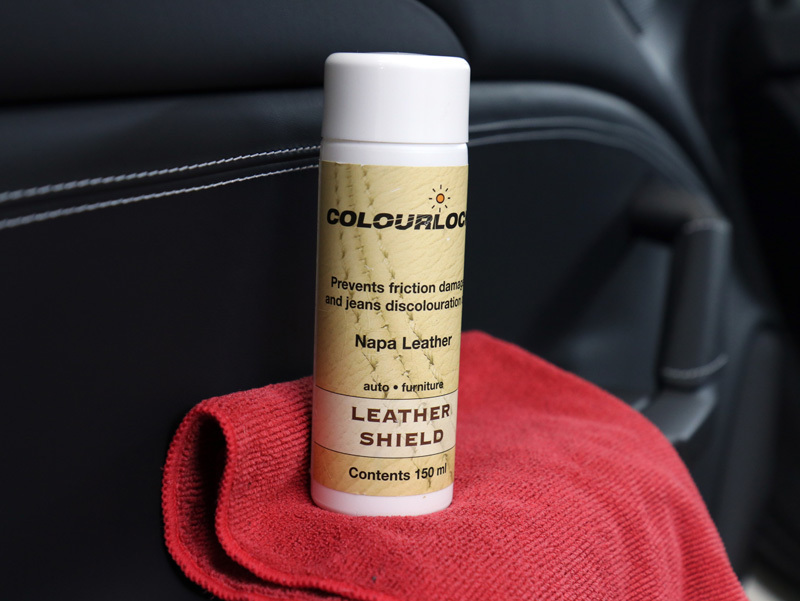 So, the interior was protected using Colourlock Leather Shield, a light, spray-on solution that helps prevent abrasion marks and repels dust. 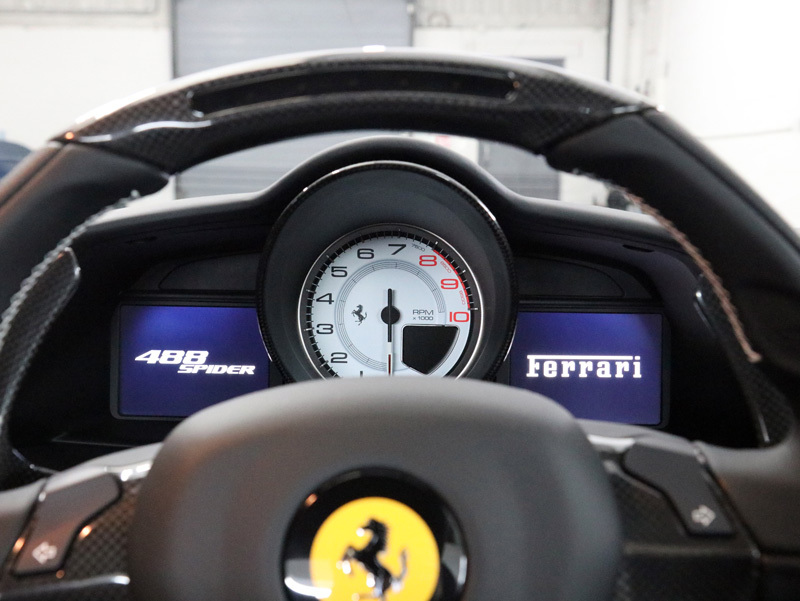 The dashboard was protected using Gtechniq C6 Matte Dash AB to leave an antibacterial, dust repelling natural finish. Once XPEL Ultimate had completely settled, the exposed paintwork was sprayed with Gtechniq Panel Wipe to remove any unwanted polish residue. Then, No.1 Base Coat was applied. No.1 Base Coat has been engineered specifically to have an increased chemical affinity to paint lacquer and to Kamikaze Collections ENREI No.2 Top Coat, encouraging a superior number of bonds to form between the layers. After leaving the Base Coat to cure for around one hour, No.2 Top Coat was carefully applied and buffed off. The combined result is a highly durable finish and, because the molecules bond more densely, the issue of water spotting commonly associated with many ceramic sealants is avoided. 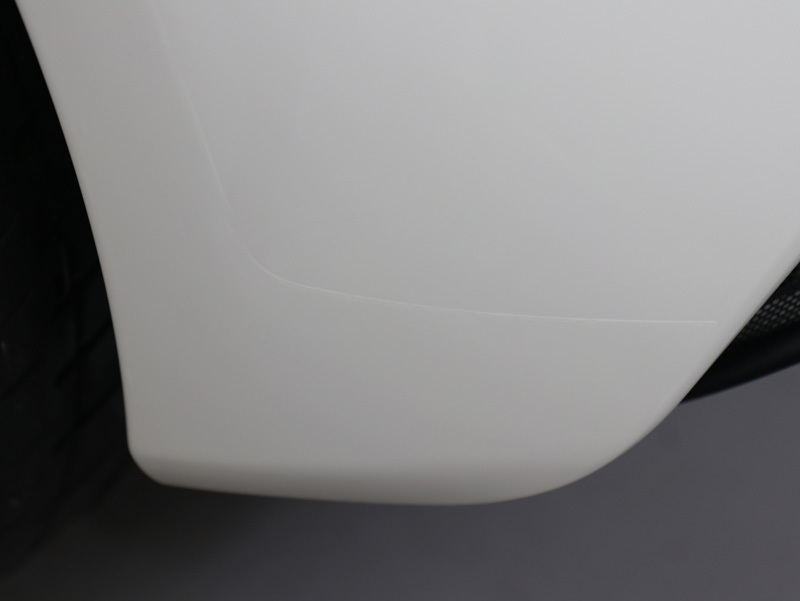 The gloss produced by ENREI is remarkable, even on white paintwork which is notoriously hard to add depth of shine to. The final result was nothing short of spectacular and given the level of protection in place, the 488 will remain so for many years to come.